What is Dragon Age Even About? Except that is not really true. I mean, yeah, it’s made by Bioware. But the longer I look at the Dragon Age series as a whole, the less it looks like a coherent narrative and more a mishmash of one-dimensional fantasy tropes. Dragon Age: Origins was a breath of fresh air with the Mage/Templar relationship, turning Elves into wandering Gypsies, and otherwise subverting a lot of traditional fantasy. Perhaps the genre has evolved in parallel or the novelty has worn off, as these days I’m finding the Dragon Age setting floundering for an identity. I liked the Grey Warden schtick in the first game, even if it ultimately meant you were fighting dragons and orcs. In Dragon Age 2, you really weren’t doing anything of note; things just happened around you. While there is still time for Inquisition to kick into gear plot-wise (no spoilers, please), I’m at a bit of a loss in mustering up the motivation to care about anyone around me. Don’t get me wrong, party banter is pretty much the reason someone plays Bioware games; I just find it hard to like someone when there’s no real context for their decisions or personality. For example, I have lost all investment in the Mage vs Templar narrative arc. The concept of anti-mage knights overseeing mage initiation rituals was pretty cool in the first game. It evoked a sort of Wheel of Time “mad dog on a leash” image; I started thinking that perhaps a similar thing should exist in the Star Wars universe vis-a-vis Jedi. It gets the mental gears moving, you know? But now we are left with insane Mage vs insane Templar generic fantasy 101. My next Inquisition plot point indicates I will need to choose between seeking Mage support or Templar support, with the decision being mutually exclusive. I’m honestly about two seconds away from looking it up on the Wiki and making a decision based on which side gives the better loot. Quite simply, the game hasn’t given me any reason to care about the outcome. Compare that to my utter agony over the Genophage decision in Mass Effect 2. Same sort of binary, morally grey decision, but Mass Effect managed to get me to care. 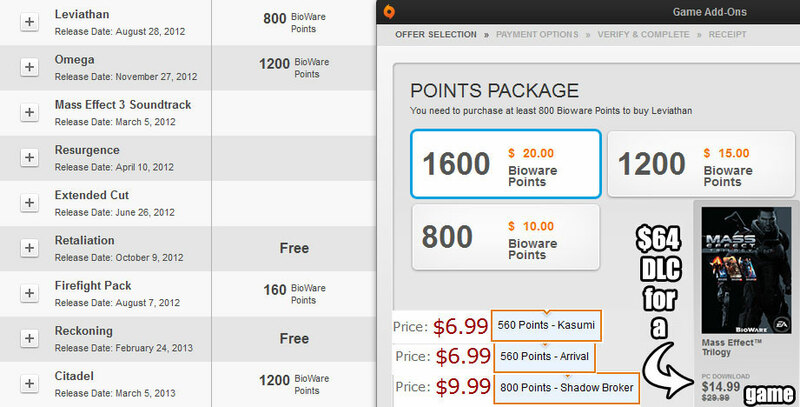 Dragon Age doesn’t even try anymore. 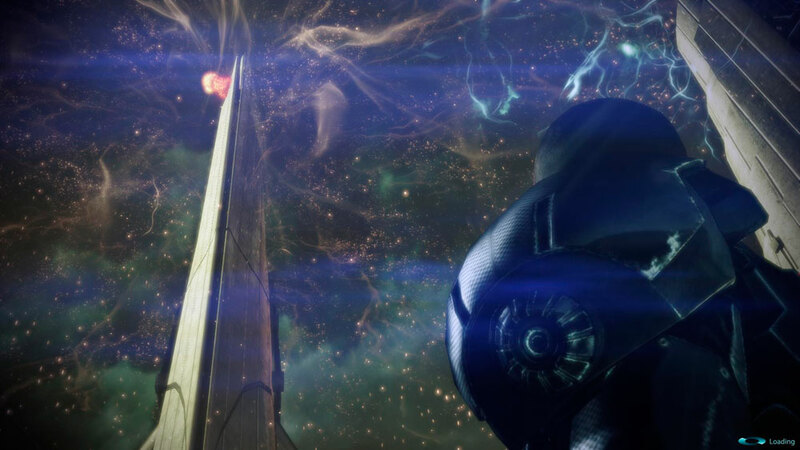 If someone asked you to sum up the Mass Effect series, you could say “scrappy Commander gets ship, builds galactic coalition to defeat Reapers.” As for summing up Dragon Age… uh… hmm. “Series of unrelated scrappy heroes collects NPCs and fights mobs.” Obviously it’s a lot harder to come up with a coherent narrative when you change heroes every game, but I’m not sure how much slack Dragon Age deserves. The Far Cry games have nothing to do with one another, and yet I can feel the thread that binds them. Where is the Dragon Age thread? What is Dragon Age even about? I think Bioware would have been a lot better off sticking to the Grey Warden angle. Having a new Blight every game would be pretty formulaic (and unsustainable), of course, but I would of loved to have seen a more nuanced exploration of what life is like for the condemned Wardens in the post-Blight period. Sort of like a subverted fantasy plot, wherein your coalition and party members start strong and then fade out, slowly ground to dust via political machinations that find the Warden treaties inconvenient once the world is no longer ending. Perhaps there is a schism that develops amongst Wardens that desire children and security for their families. Maybe the Mage vs Templar rebellion could have started by the Mages deciding to free themselves en masse by joining the Warden cause. That would be an interesting decision. Not choosing between two NPC leaders that I was introduced to 10 seconds ago. Who knows, maybe Inquisition will turn out to be super interesting in the final analysis. It isn’t terribly interesting now though, and it will have a hell of a time matching the plot I just invented a minute ago. The game is still fun, but I’d rather be playing Skyrim 2. Since I can’t, Inquisition will have to do. You can almost say the post-apoc was an improvement. When it came down to a decision as to whether I should do an extremely late jump into this (now past) console generation, I really only had one question: did I want to play The Last of Us, or the Halo series? Despite ultimately choosing the PS3, I waited on purchasing The Last of Us for quite some time. This was the reason I bought this console, and I was a bit apprehensive about putting that $200+ decision to the test. After all, everyone raved about Bioshock Infinite at release and looked how that turned out for me. How could this Metacritic 95/9.1 game live up to the expectations I have levied upon it? 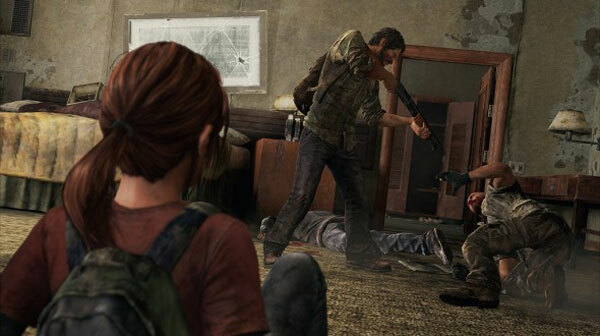 The Last of Us (TLoU) is 3rd-person, stealth-emphasized cover-based shooter set twenty years into a “zombie” post-apocalypse. An outbreak of mind-destroying spores has nearly wiped out humanity, and the survivors are doing their best to stay alive in a world of infected bites, raiders, and mundane starvation. You play as Joel, a professional smuggler and hardened badass, who along with your partner Tess is looking to get even with a guy who robbed you both of a shipment of guns. After a series of close calls, Joel & Tess take up one last job: to smuggle a 14-year old girl out of the city and to a safe house. The principal gameplay is exploring, sneaking, and killing from an over-the-shoulder perspective. While the environments are extremely linear and the number of enemy types fairly basic, I found the gameplay itself to never get dull. Supplies are almost always limited, so some real decisions will need to be made as to whether you take the time to sneak around and get some stealth kills versus lobbing a Molotov cocktail into that group of enemies right now. Compounding this, the human AI is brutal in its sensibility – enemies will fan out, attempt to flank you, send only one guy to investigate noises while the others watch, and so on. There will be a lot of waist-high obstructions to crouch behind. About the only complaints I have about the combat side of things is the reverse difficulty curve and checkpoint system. 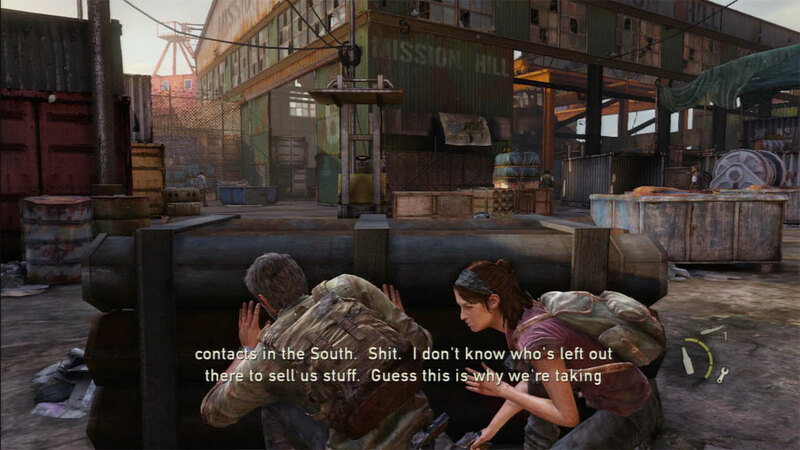 Like many similar games, TLoU is harder in the beginning and only becomes progressively easier as time goes on. Part of that is familiarity with effective strategy, given how there aren’t a lot of new enemy types, and part of that is from access to more/better weapons. Indeed, facing human enemies became somewhat of a joke later on since they would frequently congregate in small groups at the beginning of encounters, which made it extremely easy to blow them all up at once with a nail bomb. And while I give Naughty Dog some credit for a truly seamless checkpoint system, it ends up doing some strange things to the difficulty insofar as discreet encounters only end up being ~5 minutes long. For as fluid and exciting the combat system may be, where the game truly shines is everywhere else. 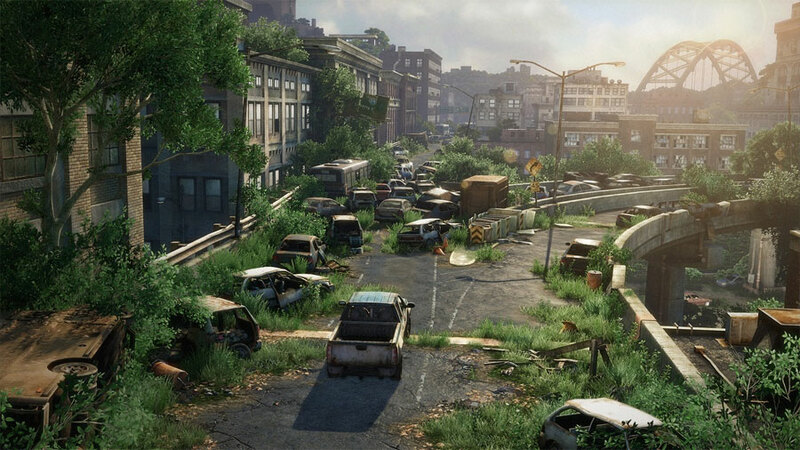 The visual juxtaposition of ruined human civilization and a greenery of nature reclaiming the space filled me with sadness and wonder simultaneously; it feels like the most compelling combination between the movies I Am Legend and The Road. The musical score is amazing in its ambiance and willingness to not take over a scene. As for the voice acting, well, I never really noticed there being voice acting at all – it was just normal, natural dialog. The overall narrative is likely the thing most everyone talks about when TLoU is brought up, and I can confirm that it is about as amazing as advertised. The weird thing is that there was not one particular moment in which I remember sitting there thinking “Wow, that’s some good videogame plot.” Instead, I felt permanently affixed to my screen, playing in five-hour increments, as each scene segued perfectly into the next and I eagerly devoured every little detail. That queasy feeling you get when you realize you’d probably do the same thing. Now that I think about it, there actually were a few details in cut scenes in which my jaw dropped at the excellence of Naughty Dog’s craft. When Joel ever-so-briefly looked at his watch, for example, I was taken back to that first wink in Mass Effect when I understood, for the first time, how much farther gaming as a storytelling medium has evolved. These subtle-yet-significant gestures hold such a hidden depth of emotion that it boggles my mind that their meaning wasn’t as belabored in-game as I am doing right now. I mean, the gesture would be ruined if it called more attention to itself, but it is such a calculated risk that I’m surprised they did not. Ultimately, The Last of Us is one of those shining examples of Games As Art that also happen to be extremely compelling to play. And unlike some other titles which overreach in their attempts to be narratively “deep” and complex – *cough* Bioshock Infinite *cough* – The Last of Us simply presents its case amongst gripping gameplay and, story told, drops the mic as the screen fades to black. I have been playing Borderlands 2 quite a bit lately. At one point, I had a mission to rescue a dude at the top of this dam. I fought my way through several rooms, saw some interesting stuff, solved some pseudo-puzzles, killed all the things. As I bust out of the final door onto the dam proper, everything goes to hell: the orbiting space station starts launching artillery shells, armed robots start landing, bullets start flying everywhere in this now-three-way battle royale. I take down a few more enemies with my corrosive sniper rifle, and then crouch behind some cover while I reload. Then this music started playing. I emerge from cover while tossing a holographic decoy out, stealthing to the first robot and meleeing it in the goddamn face. As robotic limbs fly everywhere, I switch to a ridiculously large shotgun, aim, and fire at a second robot. The shotgun shoots 17 pellets that each individually explode on contact, and firing it sounds like God slamming a car door shut. As I stroll down the middle of the ramparts like I own the place (and I do), I am suffused with a feeling of Badass. This whole sequence is staged, minus the explosive shotgun; the designers specifically put this music, with these enemies, in this order. It is the definition of themepark content, as single-player games are wont to be. But that doesn’t matter. I had been having fun before, but this was on its own elevated level. And after the sequence is over and I move on to the next (decidedly less cool) quest it occurs to me to ask: when was the last time I felt this way while playing a game? I had to go back, waaaay back to my guild’s first Mimiron kill¹ in WoW. Like I said, I have had fun in plenty of games in the past three years. I have done some crazy moves in Deus Ex, there are some epic moments in the Mass Effect trilogy, and double-dagger Elementalist in GW2 was great fun originally. But the specific feeling I had owning faces up on Bloodshot Ramparts? Very fleeting, very rare, but much appreciated. If you guys have experienced something similar in a game lately, feel free to share below. ¹ Please excuse the editing and the decidedly non-epic music accompaniment. 2009 was a long time ago. Although it shouldn’t be, I found it somewhat emotionally difficult to uninstall Mass Effect 3 this weekend. I haven’t played the game in more than five months, and I had not planned to start again either. All the extra DLC feels moot to me after the endings, and while the multiplayer was surprisingly good, I got my fill of it after a few weeks. There is no particular reason for me to feel this way. And yet… uninstalling may as well be the kiss of death. I can always reinstall later, of course, but the mere knowledge of a 5-6 hour download is enough to send my thoughts elsewhere. For a while, I had entertained a fantasy that I would replay the entire series again, start to finish, this time as Renegade FemShep. The whole ending debacle stymied that fantasy, but there always seemed to be a spark of hope that I would come back around and just do it. But… not anymore. I need the hard drive space. And I probably need to move on for real, like I thought I already had. No reason to keep holding onto those old pictures of your exes. In other news, I uninstalled Diablo 3 this weekend and felt relief. Of course, I did so after cashing out my gold, although the exchange rate is a whopping $0.52 per million gold right now. I did not talk about it, but I booted D3 up two weeks ago and went ahead and beat Diablo on Inferno, just to say I did so. The gear inflation/power creep/nerfs made it feel like a completely different game. But then again, I am not sure I enjoyed the game that it had been all that much anyway.